Zymark Caliper TurboVap 500 Evaporator Concentrator Workstation Sample Prep . New Life Scientific, Inc.
New Life Scientific technicians confirmed the TurboVac-500 is a functional sample concentrator. The heaters, fan motor, and alarm work and all responded when powered on. There were no errors or damage discovered during testing and the technician attempted to clean the vessels to the best of his resources. 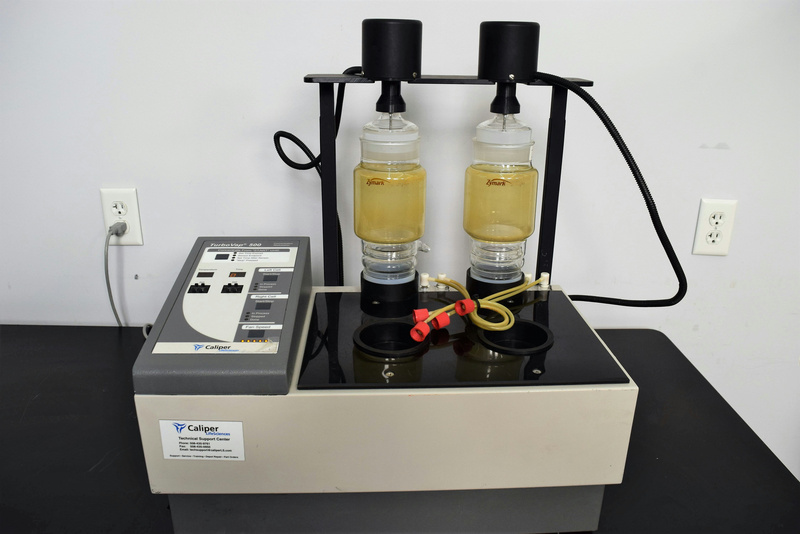 TurboVap 500 workstation is a closed cell evaporation system that provides automated sample concentration and solvent recovery using a helical gas flow and sensor endpoint detection technology. This instrument is in great cosmetic condition and includes vessels.